Since the team's inception in 2012, the Northwest Indiana Oilmen have developed players who have gone on to play in the professional ranks. Here is a list of the Oilmen alumni who have gone on to play professionally with links to their Baseball Reference pages, their highest level reached and their professional organization. The Northwest Indiana Oilmen held a press conference at Whiting City Hall to announce the formation of the team. Oilmen owner Don Popravak announced that the team would play its home games at Oil City Stadium, a beautiful 1,100 seat venue in downtown Whiting. Popravak, co-owner and former Chicago White Sox star Ron Kittle and Mayor Joe Stahura were all in attendance for the press conference. The Oilmen named Trinity Christian College head coach Justin Huisman their new manager. Huisman pitched in the major leagues in 2004 with the Kansas City Royals. The Oilmen dropped the first game in team history 7-4 to the DuPage County Hounds at Benedictine Stadium in Lisle, Ill. John Livingston singled to lead off the second, recording the first hit in franchise history. Whiting High School graduate Elliot Bajda plated the team’s first run, scoring on a Jack Cinoman single in the third. The Oilmen played their first ever home game, blasting the Southland Vikings 14-3 at Oil City Stadium for the first win in franchise history. Lowell produce Craig Austgen went 4-for-4 while Chris Rudenga drove in three. Munster’s Ryan Wilkinson went six innings, allowing two earned runs on six hits to pick up the victory. Billy Miller cracked the first home run in team history, a two-run blast in the third inning of a game against the Illinois Lincolns at Joliet Junior College. The Oilmen lost the game 12-11. Miller finished the season with a team-leading three home runs and 31 runs batted in. The Oilmen hosted a special exhibition game against the U.S. Military All-Stars, an armed forces baseball team that travels the world as part of the Red, White and Blue Tour. Fans came out in droves to see All-Stars top the Oilmen 9-8 in a game that was about more than just the final score. Military veterans were honored on the field before the game and a portion of the proceeds was donated to the Wounded Warrior Foundation. Northwest Indiana posted a franchise-high 22 runs on 22 hits in a 12-run rout of the DuPage County Hounds at Benedictine University. The Oilmen scored eight times in the top of the sixth to build their lead to 19-8. The Oilmen were well represented in the Midwest Collegiate League All-Star game at DuPage’s Benedictine Stadium as three position players and three pitchers saw the field in the South’s 3-2 victory over the North. Lake Central alumni Cody Dykema singled and drove in run. The Oilmen bested the DuPage County hounds 5-1 at Oil City Stadium in the first postseason game in franchise history. Crown Point graduate Josh Negele worked seven and one-third innings of one-run baseball to pick up the win. The Oilmen topped the Hounds 10-6 to clinch a spot in the MCL Championship Series. Jack Cinoman posted four hits before coming in to record the final four outs, notching the save. Danny Britt was the winning pitcher, allowing four runs in six innings. The Oilmen downed the DeKalb County Liners 12-6 at Founders Field in Sycamore, Ill. to gain a one game lead in the best-of-three Midwest Collegiate League Championship series. Valparaiso University’s Kyle Wood stroked three hits. Bennett Oliver drilled a home run, the first in team postseason history. Nik Mason was the winning pitcher with three innings of scoreless relief. After being rained out the day prior, the MCL championship series resumed at Oil City Stadium. The Oilmen scored four runs in the second and two in the third before cruising to a 6-2 triumph over DeKalb to secure the Midwest Collegiate League title. Brandon Krieg, Billy Miller, Alex Lincoln and Elliot Bajda (2) all drove in runs in the game. Hanover Central graduate Andy Wellwerts was the winning pitcher, while Lake Central’s Cody Dykema was named the series Most Valuable Player. DeKalb’s Justin Abbott was bounced out to pitcher Jack Cinoman for the final out of the game. The Oilmen opened their second season with a 2-1 road loss to Michigan City. Nick Saldutti picked up an RBI to account for the only run in back of Michael Steensen, who twirled six innings of one-run baseball. The 2013 home opener at Oil City Stadium concluded with a 5-3 loss to the league’s newest team, the Lexington Snipes. Jack Czeszewski drove in two runs to lead the Oilmen offense. The Oilmen suffered a wild 13-12 defeat to the DuPage County Hounds at Oil City Stadium in a 15-inning marathon that lasted five hours and five minutes. The game set the franchise record for both elapsed time and innings played. 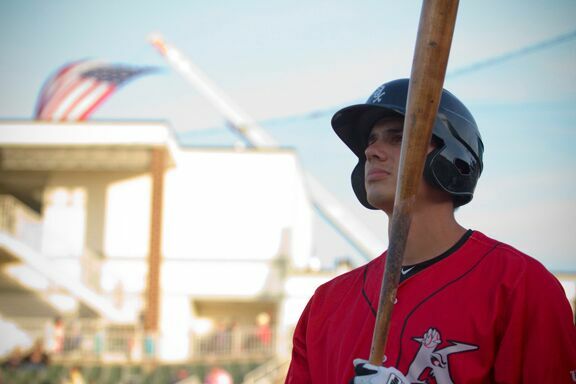 Nick Bartolone established a new franchise record for hits in a game with five, set the all-time team mark for RBIs in a game with seven and launched the first home run by an Oilman in 2013. The Red, White and Blue tour returned to Whiting as the Oilmen knocked off the U.S. Military All-Stars 9-6 in front of a sellout crowd of over 1,500 fans. Lake Central High School grad Jimmy McNamara worked two scoreless frames of relief to earn the win, while Tyler Baar homered in the game. 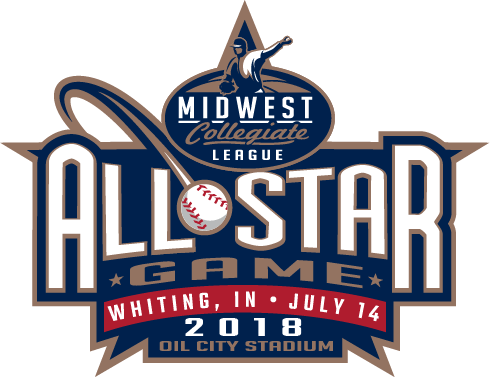 The Midwest Collegiate League All-Star Game was held at Oil City Stadium for the second time ever and the first time since the Oilmen joined the MCL in 2012. Oilmen manager Justin Huisman guided the South squad to a 12-4 victory over the North. Ten different NWI players saw action in the game, including winning pitcher Jimmy McNamara. Nick Bartolone drove in two runs in the first game of a double header at Waubonsee Community College in Sugar Gove, Ill. to lift his season RBI total to 33 and establish a new Midwest Collegiate League for RBIs in a single season. The Oilmen won the game 6-1 over the Chicago Zephyrs. Bartolone finished the season with 37 runs batted in, shattering the previous mark set by Chris Hipchen of the Illinois Lincolns, who drove in 32 runs in 2012. The Oilmen clinched a spot in the Midwest Collegiate League championship for the second consecutive year with a 17-9 battering of the Lexington Snipes in game two of the MCL Semifinal Series. The Oilmen also established a new franchise record for hits in a single game, pounding out 23 to break the preview high of 22, which was reached twice in 2012. Jack Czeszewski went 5-for-6 to match teammate Nick Bartolone’s franchise record for most hits in a single game. The Oilmen also improved to 6-0 all-time in postseason games. The Oilmen saw their season come to an end with a 4-1 loss in Game 2 of the MCL Championship Series against Southland. The Vikings clinched their first league title at Homewood-Flossmoor High School after taking the series opener 7-2 at Oil City Stadium. The Oilmen open their third season with a 2-1 victory over the Lexington Snipes, winning on opening day for the first time in team history. Jimmy McNamara pitched five quality innings, Danny Pobereyko picked up the win in relief and closer Matt Pobereyko nailed down the save. The Oilmen played the 100th game in team history when they hosted the DuPage County Hounds at Oil City Stadium. Northwest Indiana left 10 on base, falling 6-3 to DuPage. Oilmen outfielder Larry Crisler was selected in the Major League Baseball First-Year Player Draft, making him the first player in team history to be drafted. Ten total current and former Midwest Collegiate League players were taken in the 2014 draft. Matt Pobereyko picked up his sixth save of the season, eclipsing his own single-season Midwest Collegiate League record of five, set in 2013. Pobereyko finished the season with 13 saves and is the league’s career saves king with 18. The Oilmen established a new franchise record by extending their winning streak to seven games. They eked out a 1-0 victory over the Joliet Admirals. Zack Jones launched a double off the left-field wall to plate the game’s only run. For the third time in league history, Oil City Stadium hosted the Midwest Collegiate League All-Star Game. Eight players represented the Oilmen, helping the South to a 10-3 victory over the North. Matt Pobereyko and Jimmy McNamara became the first two-time all-stars in team history. The Oilmen fell 2-1 to DuPage in Game 2 of the MCL Semifinal series. The Oilmen stranded 10 on base and squandered scoring chances in the first, third, fourth, seventh and ninth innings. Northwest Indiana reached the postseasons for the third consecutive year, but failed to advance to the MCL Championship for the first time in team history. Adam Enright became the second manager in team history, replacing Justin Huisman, who stepped down to spend more time with his family. Enright served as an assistant coach under Huisman for three seasons. The fourth season of Oilmen baseball got underway with a 5-2 victory over Joliet at Wayne L. King Junior Field. Tyler Sroczynski led the way – something he would go on to do all season – with three hits. Keith Mahler left after three innings but the bullpen did not allow an earned run over six frames. Adam Enright picked up a win in his first game as Oilmen manager. A team-record 14 Oilmen were on the roster for the league’s midseason All-Star Game. The South – comprised of the Oilmen, Vikings, and Lakers – bested the North (Hounds, Snipes and Admirals) by a score of 10-3. Oilmen outfielder Tyler Sroczynski swiped four bases in five innings. Enrique Zamora broke the team’s single-game strikeout record by fanning 10 Southland Vikings in a 1-0 victory over Southland. Zamora allowed three hits and no walks over 7 2/3 shutout innings. The win completed a doubleheader sweep over the Vikings. Enrique Zamora hurled an inning of scoreless relief, striking out the side to surpass Danny Pobereyko and break the Oilmen single-season strikeout record. Zamora set the team record with 55 strikeouts. The Oilmen swept a doubleheader from the Lexington Snipes, winning 12-2 and 13-2. With the victories, they captured home-field advantage for a first-round playoff series between the two teams that started the next day. The wins capped a five-game winning streak to close the regular season. The Oilmen have finished in second place in the league standings three times in the team’s four-year history. Facing a three-run deficit with nine outs left to work with, the Oilmen scored four in the seventh and went on to beat Lexington 5-4 in Game 2 of the MCL Semifinal Series. It marked the first time in Oilmen history a playoff series went to a third game. The Snipes scored a run in the bottom of the ninth and stranded the tying run on second as Christian Howell nailed down the save. In the first Game 3 in Oilmen history, Lexington prevailed 6-2 to end the Oilmen season. Stefano Belmonte launched a game-tying homer in the seventh to make it 1-1, but the Snipes quickly responded with two in the eighth and three in the ninth against the Oilmen bullpen. Tyler Sroczynski was named the 2015 Midwest Collegiate League Most Valuable Player. The outfielder set a team record with a .397 batting average and led the Oilmen in average, home runs, RBIs, on-base percentage and stolen bases. He was the league leader in RBIs with 31. The Oilmen started their fifth season with a 3-0 loss to the Bloomington Bobcats. It was the Bobcats first game since disbanding in 2002. The Oilmen started the 2017 campaign 1-6, the most games under .500 the team had ever been. Northwest Indiana tied the record for largest margin of victory in team history with a 17-1 win over the Bloomington Bobcats. 11 different Oilmen had at least one RBI in the game. Less than a month later, the Oilmen would tie the record again in a 16-0 win against Southland. The Oilmen won their seventh straight game with a 6-1 victory over DuPage County, tying the record for longest winning streak in Oilmen history. In the streak, the Oilmen catapulted to the top of the MCL standings. The Oilmen ended the season at 26-22, third in the Midwest Collegiate League standings. Stefano Belmonte finished the season with a .402 batting average, the highest ever for an Oilman in a single season. The Oilmen defeated the Joliet Admirals, 14-6 in Game 2 of the MCL Semifinal Series to advance to the team’s third MCL Championship Series and first since 2013. In the final game of the 2016 season, the Oilmen defeat the DuPage County Hounds, 7-1 to win the MCL Championship for the second time in team history. Jordan Petty threw a complete game for Northwest Indiana, giving up one run on six hits and striking out nine. The Oilmen’s Jake Perreira was named postseason MVP; he hit .438 in the playoffs. For the second straight season, the Oilmen’s Tyler Sroczynski won the MCL MVP award. Sroczynski rewrote the record books for the Oilmen, setting marks in career home runs, runs scored and stolen bases. In 2017, he scored or got an RBI in 51.2 percent of his plate appearances. Three other Oilmen (Stefano Belmonte, Christian Howell and Hunter Clark) were named to the All-MCL team. The Oilmen opened their sixth season with a 1-0 loss at Bloomington. Richard Yelnick struck out 10 Bobcats in five scoreless innings of work for the Oilmen. Yelnick tied a franchise-record for strikeouts in a game. This game was the start of a 10-game road trip for the Oilmen. After topping Crestwood 17-4, the Oilmen picked up their seventh win a row, tying a franchise-record. Oilmen manager Adam Enright also notched his 83rd career win, which surpassed Justin Huisman’s 82, for the sole possession of first place in wins by a manager. While the Oilmen had made the MCL playoffs each of its first five seasons, they had never grabbed the No. 1 seed. That was until 2017. Following a 1-0 win over Bloomington, the Oilmen clinched the top spot in the MCL for the first time in franchise history. The team’s 34 regular season wins smashed the previous record of 28. The Oilmen’s 2017 campaign ended in a nail-biting first round exit. The No. 1 seed Oilmen lost 7-6 to Bloomington in the rubber match of the three-game series. Northwest Indiana had lost the first game, but staved off elimination in the second game, shutting out the Bobcats 7-0. The 2017 all-Midwest Collegiate League team featured three Oilmen, two of them being relief pitchers. Richard Yelnick achieved all-league recognition after posting a 1.39 ERA in 26 innings. His counterpart Rory Gard also made the team after winning MCL Relief Pitcher of the Year. Gard made 16 appearances and nailed down four saves. He limited opponents to a .203 average and shattered the team’s ERA record with a 0.41 mark. The lone Oilmen position player on the all-league squad was outfielder Amir Wright, who batted .352, belted one home run and drove in 25. The Oilmen opened up their seventh season in style, downing the Crestwood Panthers on Opening Night by a score of 15-4 at Howie Minas Field. The Oilmen established a record for the longest winning streak in franchise history when they beat the Southland Vikings 9-3 for their eighth consecutive victory. The Oilmen posted a franchise record for margin of victory by downing Southland 20-3 at Hap Bruno Field. They also banged out 22 hits, equaling the team watermark. By virtue of a convincing 19-6 win over Joliet at Oil City Stadium, the Oilmen clinched both their seventh consecutive winning season and their seventh straight postseason appearance.